Besides the senior management, our combined specialists and production team consists of over 120 concierge experts, area assistants, chefs, butlers, drivers, tour guides, and property managers – all working to produce high quality vacation for guests. Everything from a timely response to execution, we do not compromise on quality being agile problem solvers who are passionately committed to providing our guests and partners with authentic, meaningful experiences. All of the staff at Admaiora, from the managers to the tutors, are trained professionals who know their jobs and perform them with great passion. Each member of staff is extremely discreet and their local knowledge is gold. Maids. Our cleaning team will clean the property with the utmost competence and efficiency, we have the experience and equipment to handle any space cleaning need you desire, and to do so with quality. Our team also provides laundry service, suited to each individual garment and client. Waiters. Entertaining at home should be a time to relax and enjoy family and friends: we can offer the most experienced and polite wait staff to help: an English speaking waiter will serve meals at the table and drinks at the pool and aperitif alfresco during his day shift. Chefs. We offer Italian menus through our fantastic cooks, chefs and Micheline rated professionals, we cater different experiences to different guests. Chef arrives with fresh ingredients, prepares the meal, serves and leaves the kitchen clean. Property Managers & Butlers. The host will look after guests to the highest standard possible, will serve tea and coffee in bed, cook breakfast, prepare and serve canapés and cook a simple four course dinner when the kitchen team is off. Responsible for all the food and domestic product shopping, will also be responsible for reporting overall basic maintenance within the property and overview cleaning operations. The host will take responsibility of weekly monies/budgets and recommend local restaurants & bars. We can supply English Butlers as well, for a monthly rental minimum. Drivers & Fleet of Vehicles. Our company's fully qualified professional drivers and fleet of cars (amongst which Mercedes E class and S class, BMW series 5 and 7) and minivans (for up to 7 people) are the best in the area. Larger vehicles such as mini-coaches and full sized coaches are available on request. 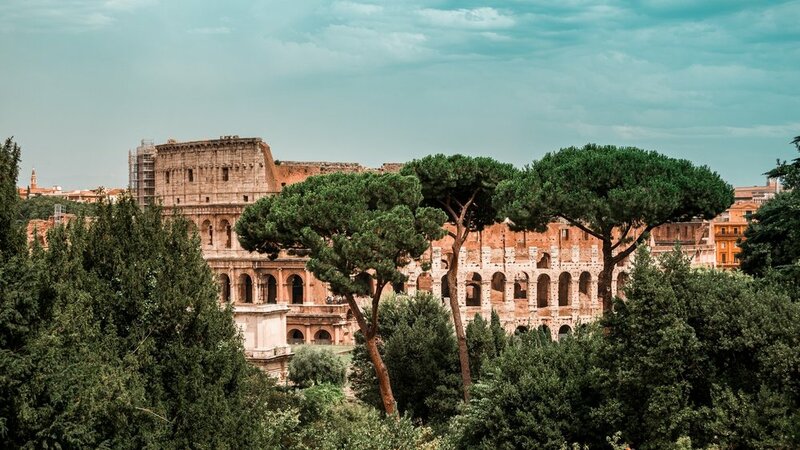 In addition, there are myriad things to see in Italian cities, both in the centre and further afield, so sometimes the best way to get around is to hire a moped, or a vespa or a motorbike, which we offer on request. Personal Trainers. Our personal trainer can create a fitness program to ensure improvement in cardiovascular strength and endurance, muscular strength, flexibility, coordination and balance. Monitoring the program enables it to be adjusted. Sessions of maximum 3 hours per day for a maximum number of 4 guests. We also offer a service of Acqua Gym, Free Movement and Sweet Gym in the water. Babysitters. There are a lot of activities that families can enjoy together with their children. The greatest part of the activities recommended for the adults can be done together with the kids, the important factor is that everything is arranged paying attention to the children needs, attitudes and interests. Language Tutor. For adults and children, separately. The teaching method is based mainly on the conversation and communication, however it can be upgraded to grammar as well. After a preliminary meeting with the Italian teacher, a tailored program will be structured and themed courses will be also possible (business, simple conversations, and many more). Only on a one-to-one basis. Photographer. We can offer a professional photography service to our guests and hire costumes or simply create unforgettable moments. This service can, on guests’ request, come as a surprise for their party (paparazzi style). Health issues assistance. We coordinate distressed guests with ambulance, medical team and, whereas necessary, the Embassy. We have a number of paediatricians in our contact book and are fully insured and license for assistance on ground. Restaurants and territory recommendations. We know the territory by memory and keep track of all feedbacks, so that when guests ask for ‘the best place to eat authentic but with the greatest selection of wines, with traditional style but contemporary approach’ we know exactly what they mean and where to send them. We also know which table is the one with the best view and position and make sure to book that one. Show, events & concert tickets, nightclub table and bottle service. We partner with some incredibly well connected companies specialising in vip clients management in order to provide tickets to each and every iconic event happening in Italy during guests’ stay, from a private box to admire Ferrari in Maranello to entrance to VIP areas at major concerts and folkloristic events like the Palio of Siena or the Regatta in Venice. Yacht Charters. We can also offer Mediterranean yacht charters in multiple locations, such as Amalfi Coast, Portofino, Forte dei Marmi, Costa Smeralda and many more. Flowers Delivery. From elaborate arrangements to simple ‘fiori di campo’, our florists will source the perfect greenery, plants and flowers for customers in villa. Special requests. Whatever guests want to celebrate, we have a team of events specialists that can organise any sort of party, from a Birthday to a Wedding Anniversary. Nothing is too special for our guests.